Some Star Wars apparel requires a bit of 'courage in a bottle' to purchase and wear in public. 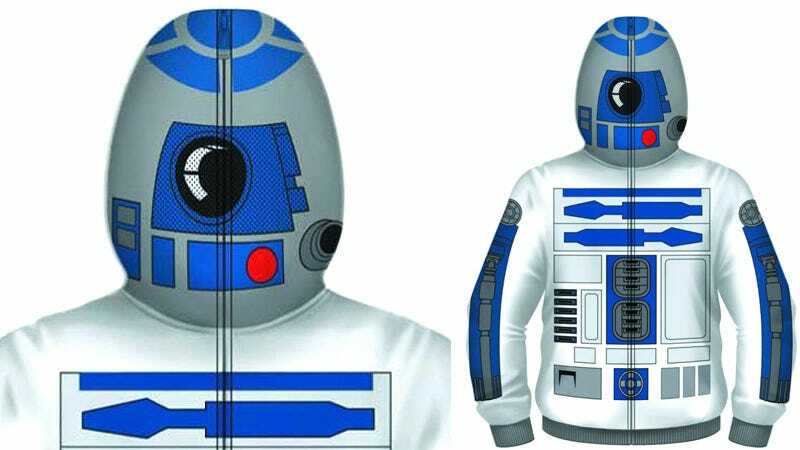 But not this forthcoming R2-D2 hoodie from Mad Engine apparel. We love that little droid, and would happily wear this to school, work, or stock market IPOs.